We will send an "order confirmation email" after purchase. Please ensure you can receive emails from etix.com. 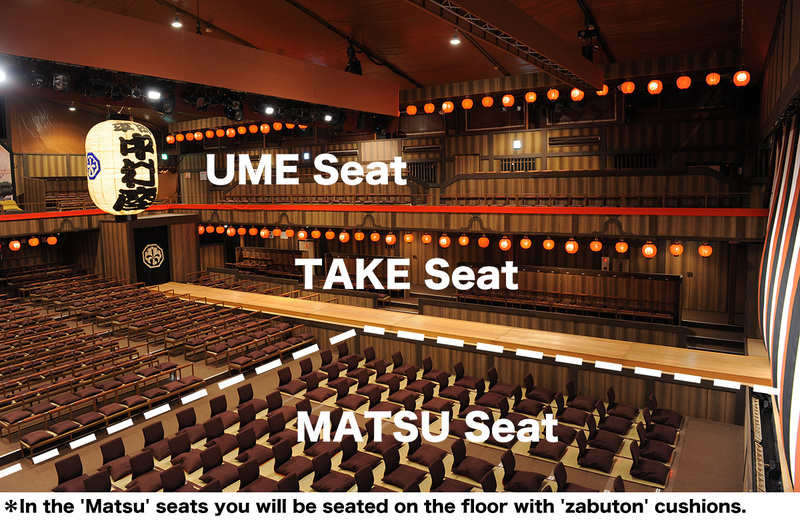 In the 'Matsu' seats you will be seated on the floor with 'zabuton' cushions. There are benches for the 'TAKE' seats and the 'UME' seats. No English supporting guide available. There are no coin-operated lockers or cloak rooms available inside this theatre. Outdoor shoes are not permitted inside the theatre. Please take off your shoes at the entrance. Please do not bring in 'zabuton' cushion and the like. There are no parking facilities for cars or bicycles, so please visit by public transport. If the performance is canceled, we will not guarantee transportation and accommodation expenses. 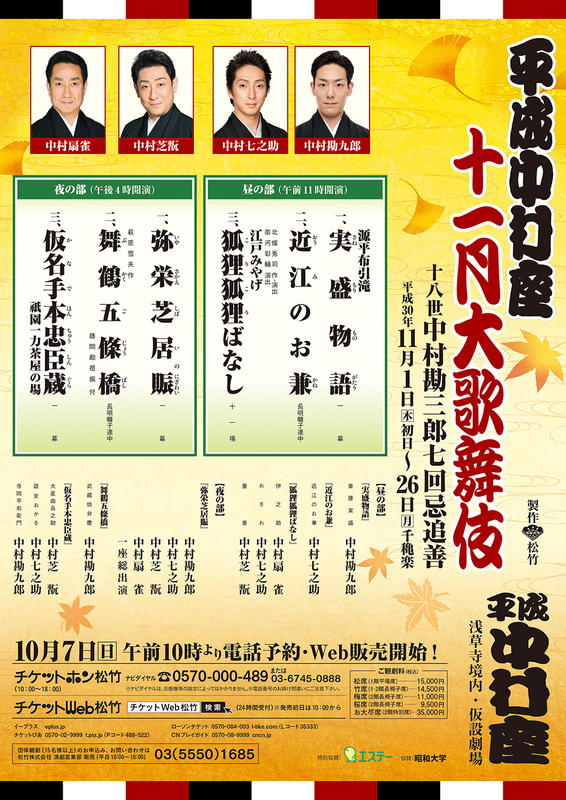 This month’s program continues from last month at the Kabukiza in commemorating the 7th year anniversary of the death of Nakamura Kanzaburō XVIII. Therefore, plays and dances associated with Kanzaburō are featured. 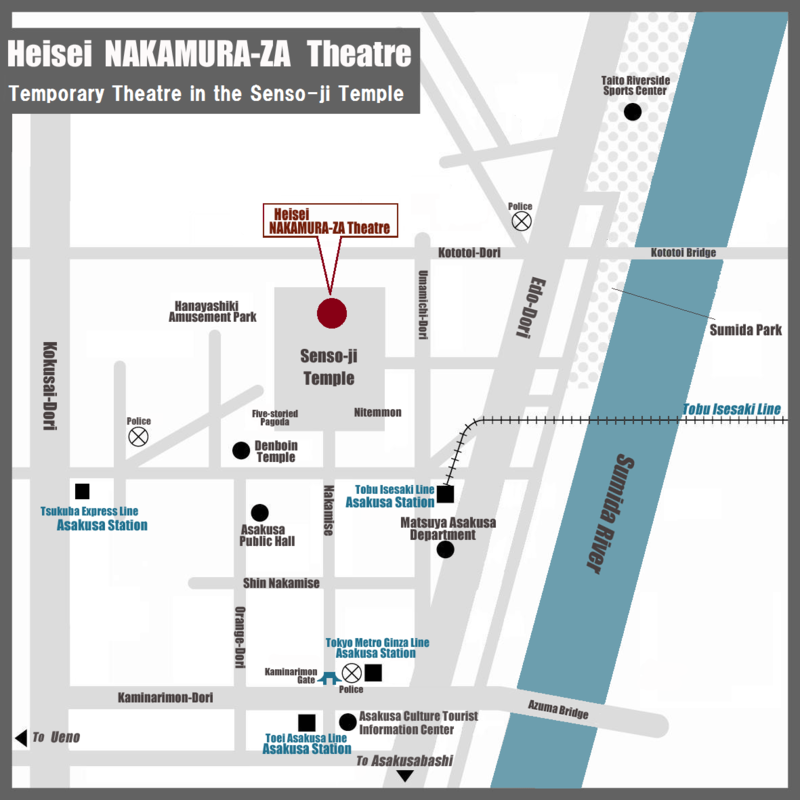 The Heisei NAKAMURAZA Theatre, a troupe that performs in a temporary theatre building, was founded by him in 2000 in Asakusa, Tokyo. The structure is a reproduction of a theatre in which his ancestors would have acted in the Edo Period. It has been rebuilt in many different places, including Osaka, Nagoya, New York and so on, where the troupe has performed. 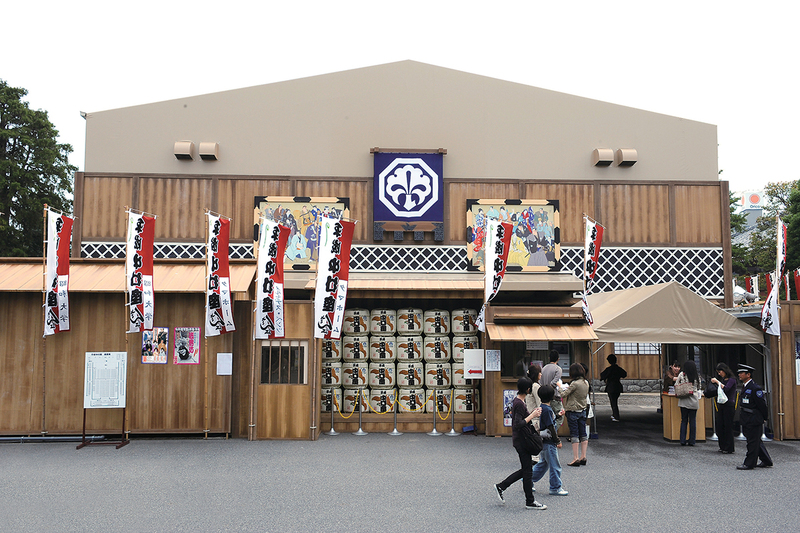 This month, the theatre comes back to its birthplace in Asakusa. Pick up your ticket(s) at the Venue “BOX OFFICE” on the day of the performance. To exchange ticket, you will need to show "Order Confirmation Email". Presentation of "Order Confirmation Email" should be printed and presented or displayed on smartphone screen. When you exchange ticket, we may ask for identification. Please prepare for an identification information. Order Confirmation Email will be sent from "ticket.e-tix.jp@etix.com" after purchase. Note：Credit Card Billing Statement will be recorded as "E-TIX ONLINE TICKET". You cannot cancel or exchange after you have made your purchase. Please review carefully on your ticket selection and billing information entered before submit an order. Please complete your purchase in 15min. from the Review Your Selection page has been displayed. Please note that after 15min. your purchase will be time-out and selected ticket will go back to inventory. Please do not use more than one window to process the purchase. It may not process correctly. A link to display your ticket will be emailed to you after purchase. Please add "ticket.e-tix.jp@etix.com" to your address book to ensure it gets delivered.